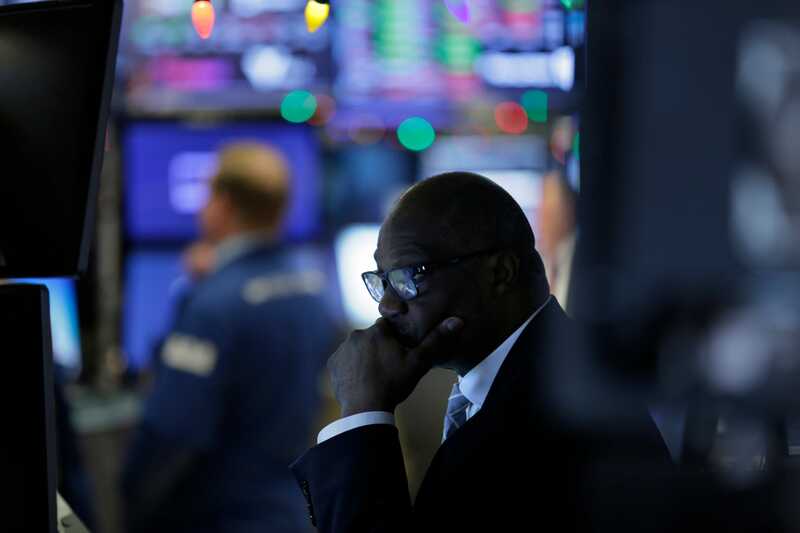 Stocks fell Thursday after a warning from Apple fanned fears about the prospect of slowing economic growth around the world, adding to jitters about political turmoil in Washington and rising interest rates. The Dow Jones Industrial Average shed about 580 points, or 2.52%, on Thursday morning. The S&P 500 fell 2.02%, and the Nasdaq Composite lost 2.36%. Stocks have suffered several weeks of dramatic swings, completing their worst year since 2008 on Monday. Apple issued a letter Wednesday in which CEO Tim Cook partly blamed weak iPhone sales in China for the lowering of the company’s revenue forecast. That same day, data showed private-manufacturing activity in the world’s second-largest economy contracted for the first time in 19 months. Shares of Apple plunged more than 9% following the announcement. Cook said the technology giant hadn’t anticipated the degree of deceleration taking place in China, underscoring expectations for major economies to lose steam in coming months. High-flying technology companies led the sell-off in morning trading Thursday, with the FANG+ Index down 2.7%. Bellwether industrial companies, including Boeing, Caterpillar, and 3M, fell as much as 4%. Also keeping investors on edge, the federal government is in its second full week of a partial shutdown. House Democrats taking control of the chamber plan to pass a proposal to reopen the government Thursday as the 116th Congress convenes, but it could face opposition in the Senate or from President Donald Trump. On the commodities front, oil prices climbed more than 2%, with West Texas Intermediate trading just under $47 a barrel and Brent around $55.60. Prices have shed more than a third from October highs as traders fret over the possibility of oversupply and expectations for dampened demand. The dollar and Treasury yields edged lower after ADP said US firms added their most workers to payrolls in nearly two years in December. The Labor Department is set to release its jobs report Friday.